As Christmas draws nearer and our excitement about spending time with family and friends, sharing food and gifts grows, our thoughts may turn to the sheer volume of plastic waste we generate over the holiday season. By shopping local, recycling, reusing and regifting we are all helping reduce our impact on the environment. But there is another small way in which you can help - one that will inspire thousands of children to get involved and help tackle this issue. Ocean plastic is a serious problem affecting every part of our planet, but with your help, we can inspire future generations to reverse this throwaway plastic culture that’s destroying our world. The real key to solving the issue is to inspire children from a young age about the problem - and this is where a little bit of help from you can make a direct difference in your community. Enter The Wild Tribe Heroes! 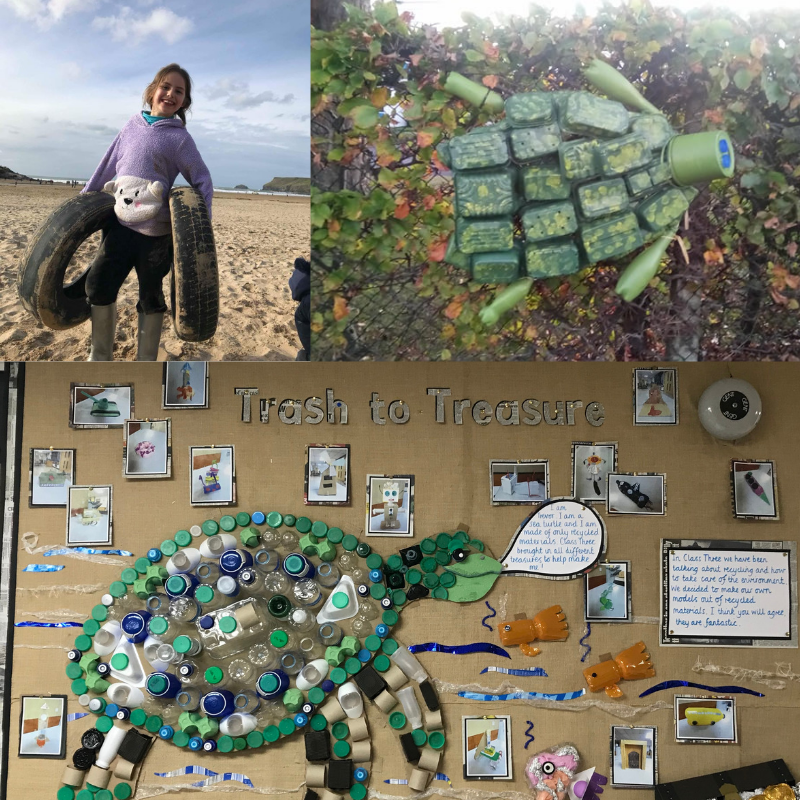 The Wild Tribe Heroes are written by Cornish based author Ellie Jackson and are a series of children’s books designed to teach primary school children about the problems of ocean plastics – and what they can do to fix it! 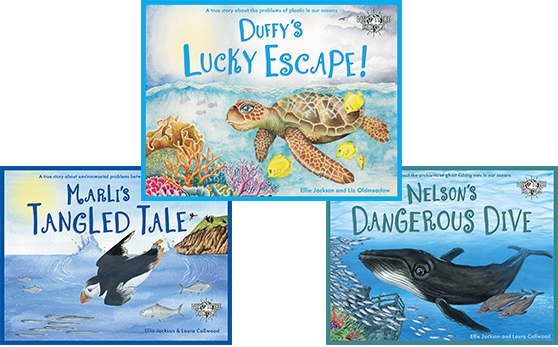 The three books – featuring Duffy the sea turtle who eats too much plastic, Marli the puffin who gets tangled up in balloons and Nelson the whale who needs rescuing from a fishing net – are a way for you and your community to get behind your children, helping them to create clean towns, coasts and a healthy environment for humans and animals. 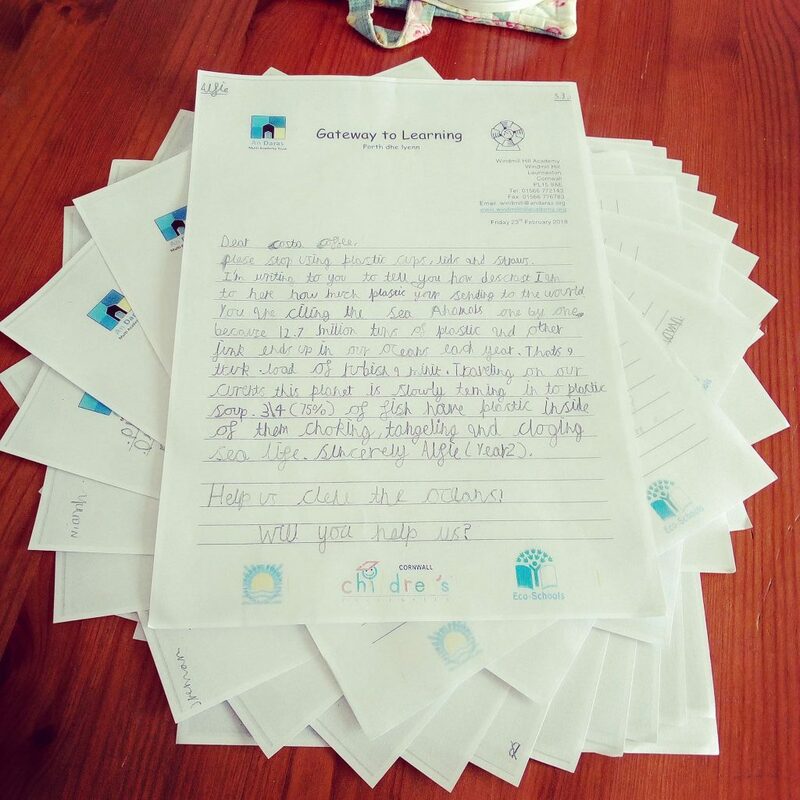 Already used by thousands of schools in other regions around the UK, we’ve reached an unbelievable half a million children so far, inspiring them to take action by organising litter picks and beach cleans, setting up recycling systems, and using their persuasive writing skills to write letters to local businesses and the wider community to reduce their use of single use plastic. The books are supported by major Cornish based marine charities, including Surfers Against Sewage, 2 Minute Beach Clean and Fathom's Free and together with your help, we can spread the word to support these charities further, starting with this campaign to reach all the primary schools in Cornwall. My name is Ellie. I grew up spending my holidays immersed in nature, and my childhood was a free range existence – exploring beaches, caves and cliffs. My parents really instilled in me a love of the outdoors, and that love has stayed with me ever since; I went on to study Environmental Science at Birmingham University, before teaching secondary school Geography, moving to Australia and starting a family. Now living in Cornwall, I spend my days together with my children, campaigning for plastic free communities whilst working hard creating books that can help inspire children to care for our environment. Amazingly, I was lucky enough to spend a year on an island in Australia with my young family, where we witnessed a turtle being released into the sea. My five-year-old daughter was asking questions about how the turtle got sick in the first place, so we went to the turtle hospital on the mainland and discovered that turtles are eating plastic and falling ill as a result. That was it. My daughter was on a mission to clean up every piece of plastic she could find on the beach – in her mind every piece she collected was saving a turtle’s life. It was an incredible inspiration for me and I wanted to share this message with as many children as possible. So the idea for Duffy – the first book in the series – was born. 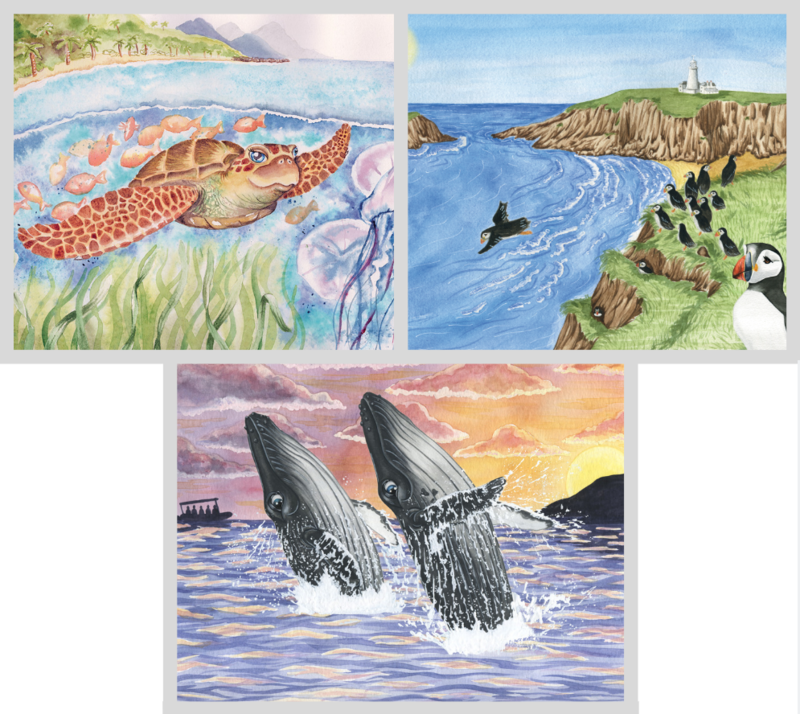 The Marli and Nelson books are also based on true stories and each book tackles separate ocean plastic issues. As a mother and teacher myself, it was vital to me to teach children this message in a gentle way, whilst still explaining the issues. As adults we find it distressing and overwhelming to see these shocking images of rivers of plastic, animals in distress and depressing facts. There is no need for a child of primary school age to see images of their favourite animals in so much pain and yet if we leave this until they are teenagers, the habits they have learned will be much harder to change. By teaching children from aged 3 and upwards using these books, they can see the issue come to life through a familiar picture book format with a happy ending and ideas for the future. This puts a positive approach to the problem and empowers them to feel like they can make a difference. 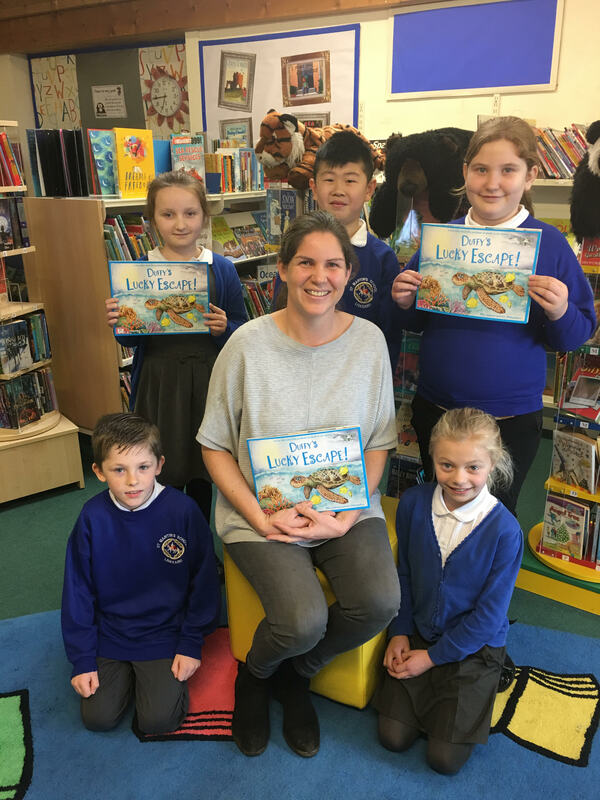 And it doesn’t stop there; more books are on their way about many different environmental issues in the hope that they’ll continue to inspire children across the UK – and the world, as the books are already translated into 15 different languages! With your help, we can spread the ocean plastics message, reaching thousands of children across your community. We want every primary school in Cornwall to have these books and from experience we have seen huge success and change when a whole area is targeted at once. This way, thousands of children, their parents and families will learn about the issue at the same time creating a powerful momentum for change. And the money you pledge will help us get these books and resources into our schools. Cardiff City Council, with sponsorship, has already done this, placing our books into all 113 of the city’s primary schools. That’s 30,000 children reached in one go - all taking action to tackle the problem and real world results are already being seen in changing attitudes, cleaner environment, waste reduction and increased awareness. If we meet our target, we’ll send each school in Cornwall an educational pack that includes the three books, teaching ideas and access to digital resources. The books can be used as a stand alone lesson or a series of lessons and assembly discussion – even as a whole school approach. They incorporate learning from every area of the National Curriculum, and can easily be adapted by teachers for all ages. Ultimately, if we can inspire our children to take action at home and in school and to tackle wider issues in their communities we still stand a chance in reversing this globally devastating issue. The books are printed and ready to go and can be with the schools shortly - the power to make this a reality is in your hands. Any amount that you can give will make a difference and the rewards range from digital colouring books, illustrations from the book, litter collecting bags, signed copies of the books and education packs into schools.  Donate £5 and you will receive our digital download colouring book.  Donate £10 and you will receive our 5 pack of postcards featuring illustrations from each book plus downloadable colouring book.  Donate £20 and you will receive one signed copy of a book of your choice together with our cotton printed "I am a Wild Tribe Hero!" litter collection bag plus our 5 pack of postcards featuring illustrations from each book and downloadable colouring book.  Donate £30 and copies of all three books together with teaching ideas and access to digital resources will be sent out to one Cornish school. You will also receive a personal thank you letter and promotion on social media if requested and inclusion on our Wall of Fame going to every school.  Donate £40 and you will receive all three signed copies of the books together with our cotton printed "I am a Wild Tribe Hero!" litter collection bag plus our 5 pack of postcards featuring illustrations from each book and downloadable colouring book.  Donate £85 and you will donate all three books together with teaching ideas and access to digital resources to TWO Cornish schools. You will also receive all three signed copies of the books together with two high quality digital prints of your choice signed by the illustrator, plus our cotton printed "I am a Wild Tribe Hero!" litter collection bag plus our 5 pack of postcards featuring illustrations from each book and downloadable colouring book.  Donate £250, and we can include promotional material about your organisation or company in every book pack we send to each primary school in Cornwall – a great way to reach thousands of children, that is also linked with a powerful environmental message. Your £30 pledge directly provides ONE educational pack for a school teaching about the problem of ocean plastics. Copies of all three books together with our teaching resources will be sent out to one Cornish school. Plus we send you a personal thank you letter and promotion on our social media and Wall of Fame going out to every school. Put your best flipper forward for a big high five from Duffy the Sea Turtle! Plus we will send you a digital Wild Tribe Heroes colouring book. To say a big Thank You you will receive our 5 pack of postcards featuring illustrations from each book. Perfect for the fridge or to send to family and friends to help share the message! Plus we will send you a digital Wild Tribe Heroes colouring book. Where There's A Krill There's A Way! You will be donating an educational pack of three books into 10 schools in your region plus teaching ideas and access to digital resources. You will also have an opportunity to send out promotional material from your business/organisation into every primary school in the region.  You will also get promoted on our website, social media and press releases.